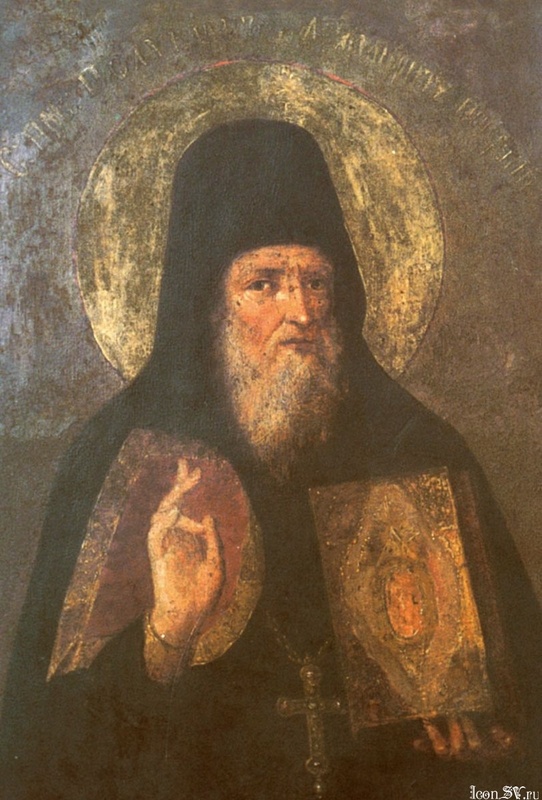 Saint Polycarp the Archimandrite entered the Kiev Caves Monastery, where he received monastic tonsure and struggled for the salvation of his soul. Soon Polycarp (whose name means “much fruit”) began to bear fruits of repentance and virtue. His relative Saint Simon (May 10), who became Bishop of Vladimir and Suzdal, planted the seeds which Saint Polycarp developed. As the holy bishop taught Polycarp the principles of the spiritual life, the two became increasingly united in spirit, just as they were related by blood. When Saint Simon left the Monastery of the Caves to assume his hierarchal responsibilities in Vladimir, he took Polycarp with him. Saint Polycarp wrote down the stories that Saint Simeon told him of the God-pleasing ascetics of the Kiev Caves so that others might also benefit from them. Therefore, he is also known as Saint Polycarp the Hagiologist. Although Saint Polycarp returned to the monastery, he always tried to live according to Saint Simeon’s instructions. After the repose of Igumen Akindynus, the brethren chose Polycarp to succeed him as the Superior of the Lavra. He proved to be a skilled guide for the brethren in their struggle for salvation, and also for those outside the monastery. However, as the prince was passing through Smolensk, he fell ill and asked to be taken home to Kiev. Seeing how weak he was, his sister Rogneda urged him to remain in Smolensk and be buried in the church they had built there. Saint Polycarp went to the Lord on July 24, 1182. After this, no successor was chosen for a long time. Although there were many worthy Elders in the Lavra, they all declined the office of igumen out of humility. The brethren realized that they could not remain for long without a shepherd. They assembled in the church and prayed to Saints Anthony and Theodosius and Saint Polycarp to help them find someone worthy to take his place. The monks went to the widowed priest Basil and asked him to be their Superior, but he refused for a long time. After many entreaties, he finally agreed and went with them to the monastery. He was tonsured as a monk and installed as igumen by Metropolitan Nicephorus of Kiev, Bishops Laurence of Turov and Nicholas of Polotsk. Igumen Basil proved to be a model of virtues and a worthy successor to Saint Polycarp.